one-to-one meetings with people who you hope may help you. First of all, you need to identify the network you have access to. Many people think they have got very few contacts, but in fact, with a bit of effort you will be able to reach many more people than you think! The key point is to remember that you are not just aiming to reach the people you know directly. If you sat down and wrote a list of all the people you know, you would probably generate a list of at least 50 -100 people. Probably more. If you consider that each one of those contacts also knows 50 – 100 people, suddenly your network seems a lot bigger! A key trick of networking know how is to take the time to really brainstorm your first level of contacts in detail. You might find it helpful to do this with your Career Change Buddy as they can prompt your thinking. Here is a list of suggestions to get you started. Is your head reeling yet? As you can see, to get started with networking, know how to tap into these resources at your finger tips. Once you have your list you can work out who might be able to help you with your career change – or who might know someone else who could help. Networking know how is not just a matter of talking to lots of people, it is about knowing how to approach them so you get what you want. At the same time you want to leave them with a positive impression so they remember you. Remember to stay in broad research mode when you first make contact. Do not go straight in and ask for a job! Ask for information, ideas or advice. Work out exactly what you want to get out of the meeting. Have a clear agenda and plan a list of questions. Know something about them, their company or their line of business so you can show evidence of interest. Think about what you want to say about yourself. Avoid a sales pitch, but be ready to be positive about your skills and experience. Write a short networking letter asking for a meeting and explaining you will phone to arrange a suitable date. When you call, be ready to explain what help you would like and reassure them that you will not take up much of their time. Be flexible about when and where you will meet. If need be, rehearse this call with your Career Change Buddy! This kind of networking meeting is often called an informational interview. Keep it short and focused. Use your list of questions to make sure you get the information and advice you need. Make sure you show genuine interest in them and their work as well as presenting yourself positively. Check how much time they can give you and stick to it! At the end of the interview, always ask if they can suggest anyone else who might be able to help you. This is how your network grows. Leave your networking business card with them if it feels appropriate, but don’t force it on them. Developing your networking know how will ensure that you maximise the benefits of this kind of meeting. Send a thank you letter! This might sound old fashioned, but can make a big difference to the impression you leave. Make notes about what you have learned from the meeting and add them to your Career Change Project File. Include thoughts about the contact themselves – how supportive were they? When might you follow them up again? What action will you now take as a result of this meeting? People who are successful at networking know how to make the most of formal and informal 1-1 meetings. 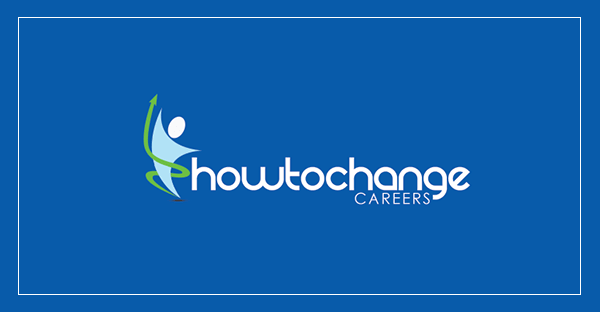 Make sure you use these tips to help you plan and implement your career change.